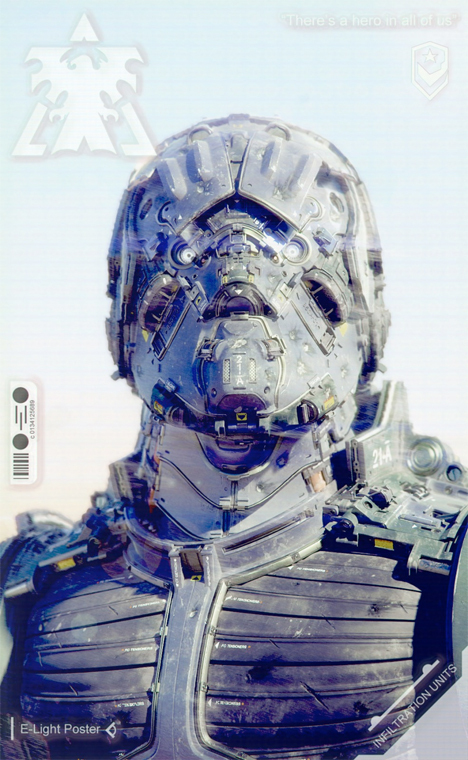 We’re probably a century or two away from working mechanized exoskeletons modeled on the movements of crickets, but the great thing about digital concept art is there are no limits other than those of the creators’ imaginations. 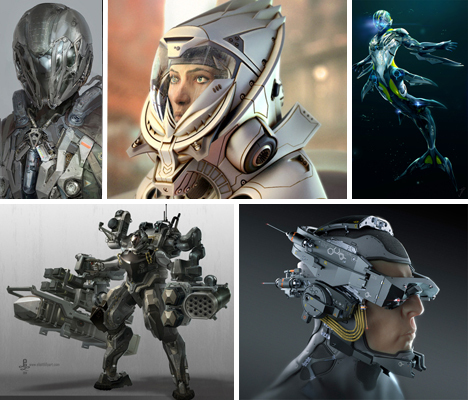 These gadget-covered robotic suits and helmets for the humans of the future may not be coming to stores any time soon, but it’s easy to imagine them playing major roles in movies and video games. In fact, you might just find yourself making up stories about what each one can do as you view them. 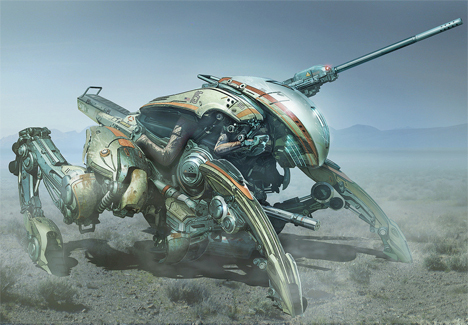 Artist Matthew Burke envisions a combination exoskeleton/vehicle inspired by a cricket in this 3DStudio Max rendering finished in Photoshop. This incredibly detailed CGI rendering by Mike Andrew Nash looks so real, it’s hard to believe it’s not a physical model. 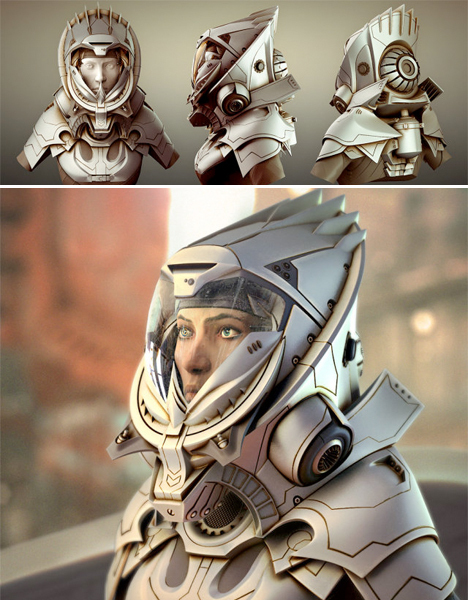 It’s a combat mech warrior suit the artist calls 21-A BW, or Terran Infiltration Unit. 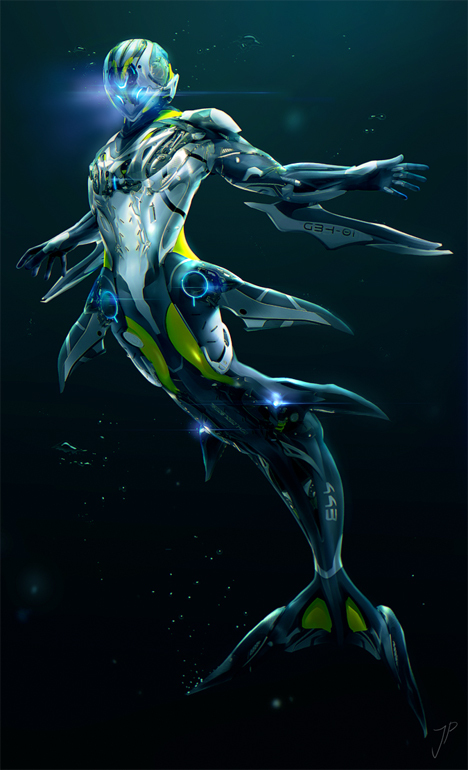 Artist Cat-Meff envisions a diving suit that would turn any human into a sort of mechanized dolphin/mer-creature. “This is probably one of the coolest ways to spend your holidays in 2025,” the artist writes. 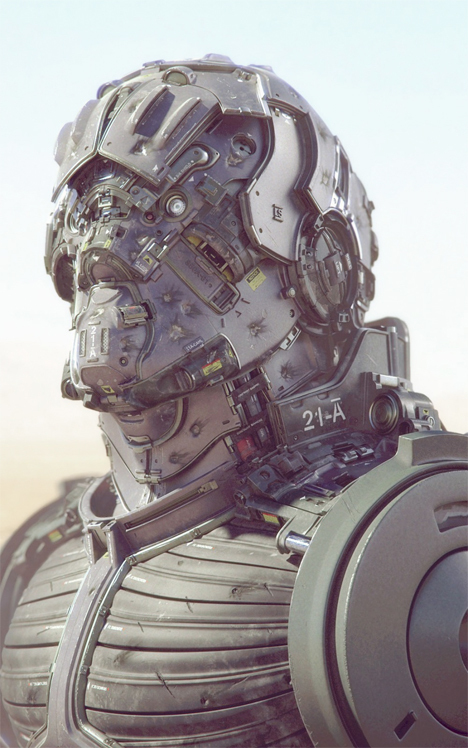 “The character is a high-ranking official wearing a suit equipped for hot, cold and bad air,” says artist Lucas Hardi of this 3D hardsurface modeling exercise.